Overview: Imagine a lovely summer day relaxing in your backyard when out of the corner of your eye you see some rustling in the flowers. You think nothing of it, it's probably just an animal. What else could it be? While this yard is filled with birds, squirrels, frogs, and insects, there also happens to be an entire family of Gnomes living nearby! Even though they are little, have beards and chubby cheeks, wear bright clothes and pointy hats, these aren't your ordinary lawn gnomes. They are the mythical Gnomes the statues are based on, always hiding from human sight. 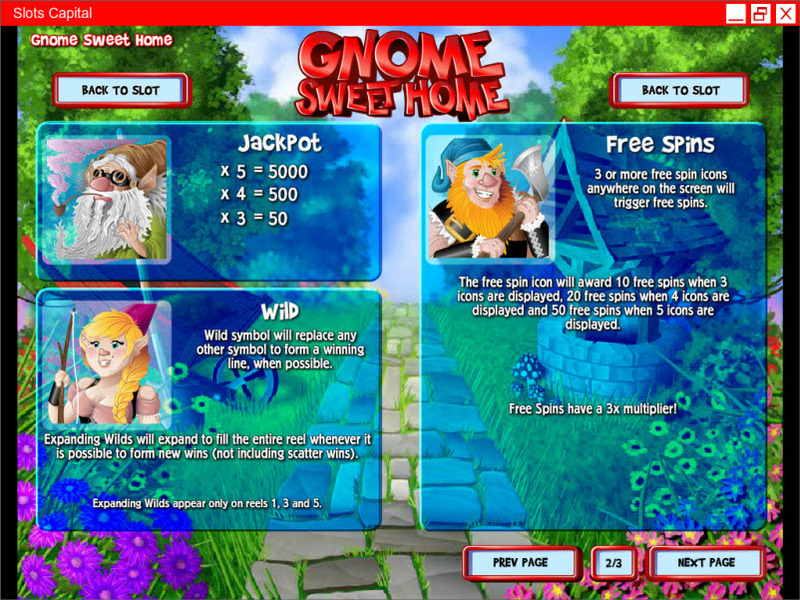 There is Mr. Gnome and Mrs. Gnome, Papa Gnome, Gnome Jr. and Gnomette. 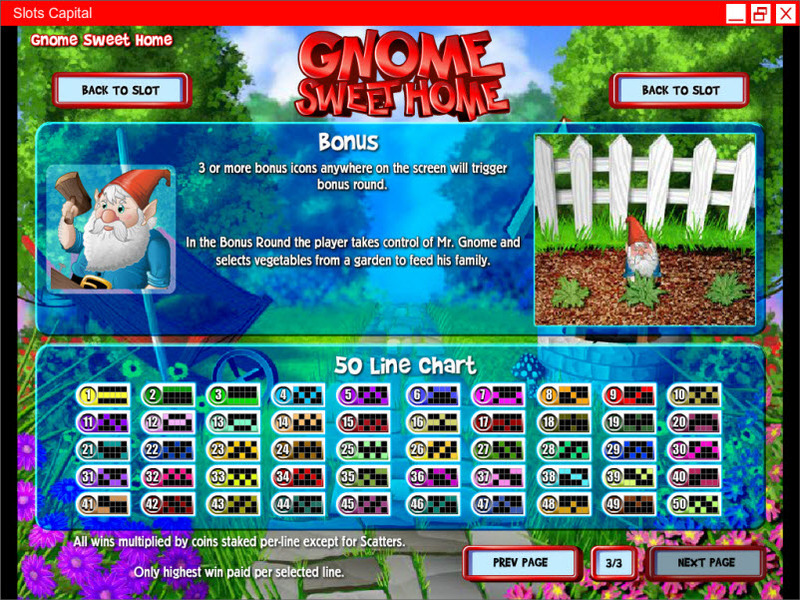 This garden is their Gnome Sweet Home. 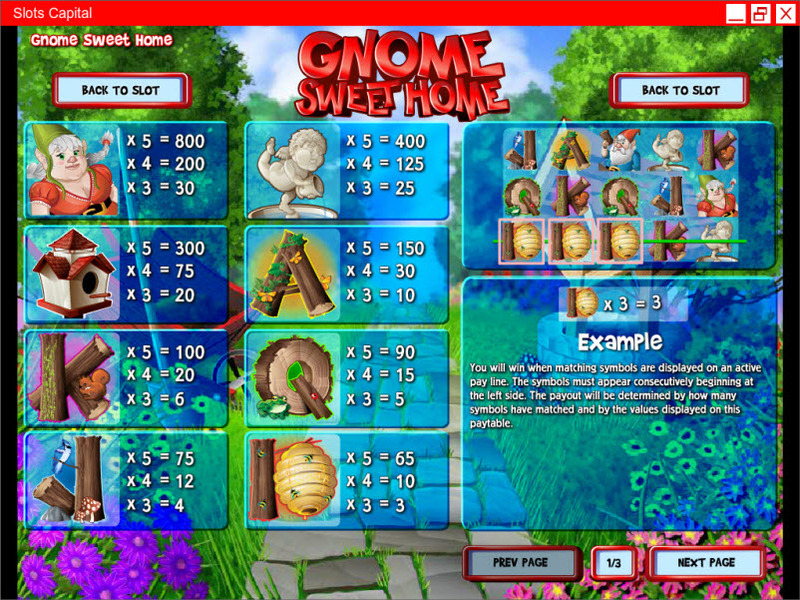 Other icons in the slot include 10, J, Q, K, & A symbols, as well as a Birdhouse and a Cherub fountain. 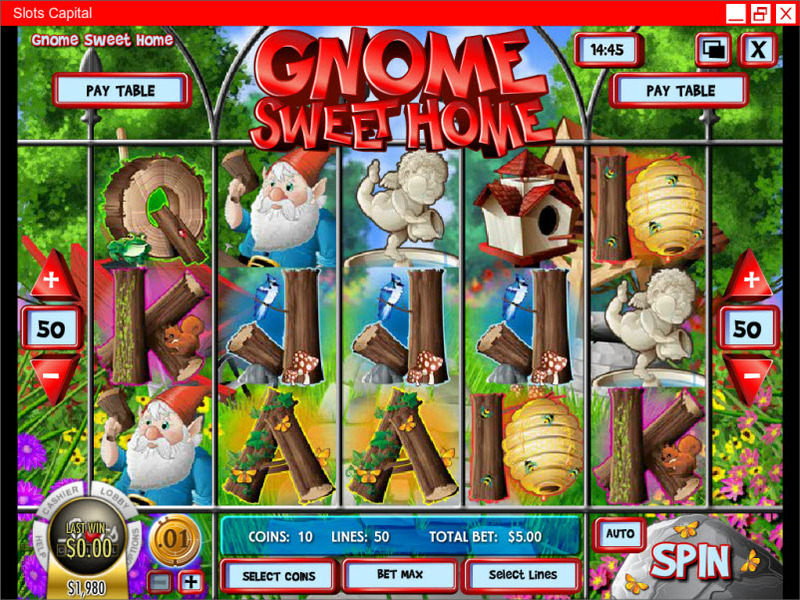 Similar Slots: If you like Gnome Sweet Gnome, you might like these other Rival video slot machines: Diggin Deep, Grandma's Attic, Moonshiners Moolah, Reel Party, Scary Rich 3.